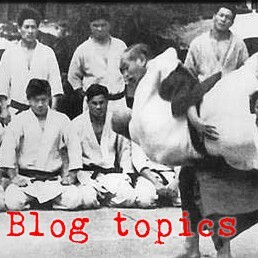 Mokuren Dojo: Kitoryu - dead art or not? Some years back, Our teacher hosted Tsunako Miyake sensei, and one of the things she said she wanted to teach during that visit was Koshiki no Kata. "What's that" was most everyone's response. Of course, there were some of us that knew that Koshiki existed, but nobody really knew what it had to do with anything. Well, it turns out that Koshiki no kata has more to do with what we do than anyone understood. During that visit, Ms. Miyake penned a calligraphy (on her keikogi! which she gifted to one of the dojos!) that interestingly said (approximately), "Daitoryu aikido + Kitoryu (as seen in Koshiki no kata) = Tomiki aikido). Koshiki is the main surviving remnant of the Kitoryu school of Aiki-jujutsu - preserved in the Kodokan Judo curriculum. 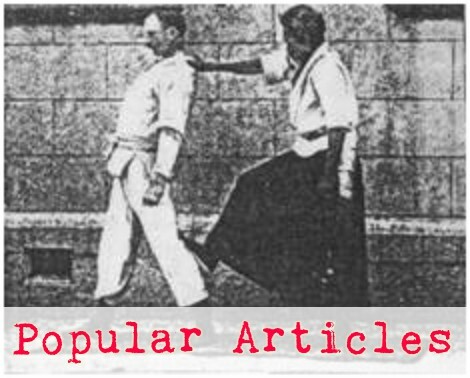 Kitoryu gave rise to Kodokan judo, and was also influential in the development of aikido. 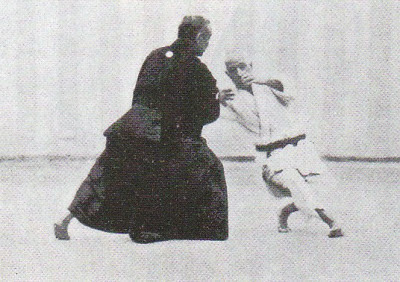 Morihei Ueshiba studied Kito for some time, and Professor Shishida even suggests that Ueshiba's aikido may have been largely developed as a counter to judo (that is, using the Kito and Daito that Ueshiba knew to bust the Kito and Tenjin that Kano's students knew). It is easy to find Daito folks if you're willing to travel, but trying to find someone with a certificate in Kitoryu is so nearly impossible that we'd figured/guessed that it was a dead art (except what is preserved in judo as Koshiki no Kata). I got to talk to him about Kito a few weeks ago. He said that he doesn't like to teach Kito/Koshiki because it is so rough and violent that it borders on abusive to the students - and that matches what we knew of Koshiki no kata - Everyone that went to Ms. Miyake's Koshiki clinic talked about being beat up and sore as hell for a while. My Kito source also said that Koshiki was not all of Kito - that there were auxiliary arts and other kata, including horseback techniques - and that checks against what we know of the other Koryu - they were typically very diverse schools. Anyway, It looks like I'll be able to pay another visit soon, and perhaps hear some more fascinating history and maybe see some documents. I would love to work on Koshiki no kata (and whatever else he wants to play) with this man!